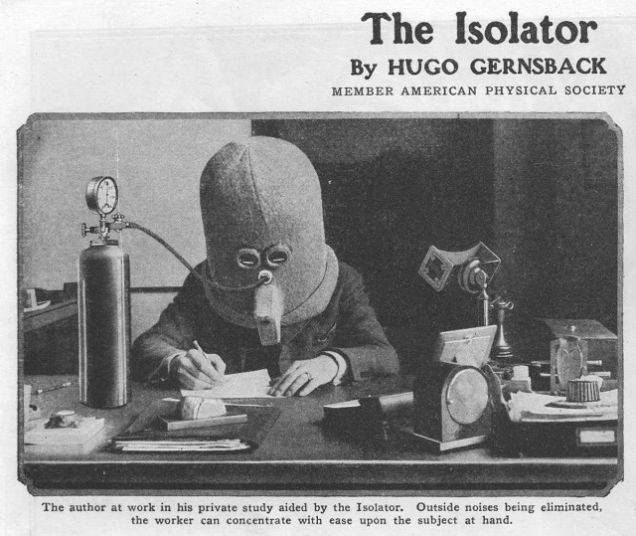 In 1925 an American science magazine editor called Hugo Gernsback decided he’d had enough of being distracted by the people and racket around him and concluded the only possible solution was to do something about where his head was at. 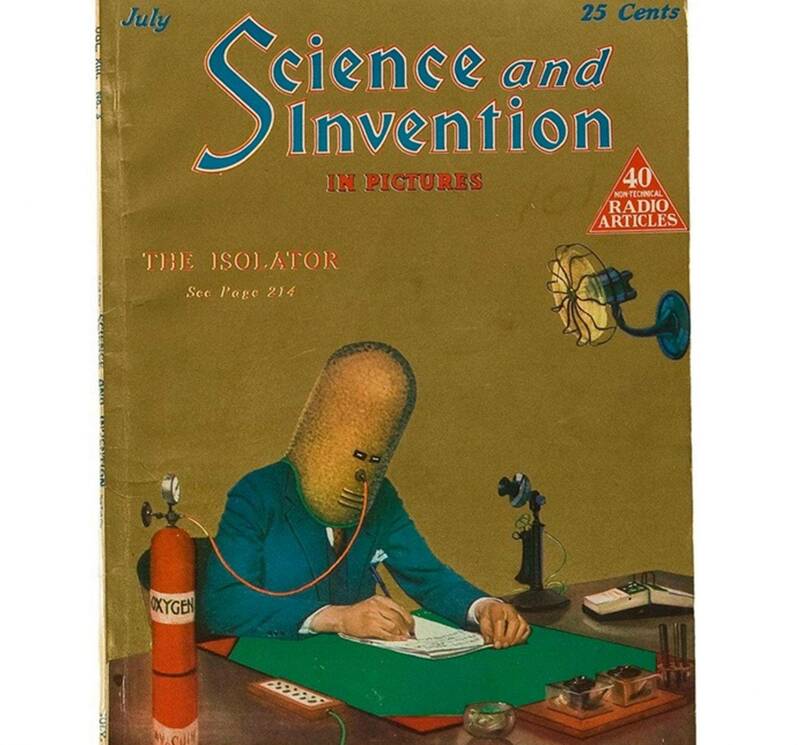 Hence The Isolator, a helmet that fully covered his head, rendering him completely impervious to the sounds (and most of the sights) around him. 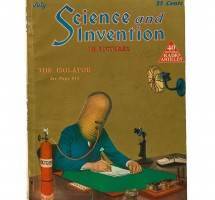 The only downside was the need to pipe oxygen into the contraption to ensure he could survive. Never caught on, although he wasn’t the last person to think of this, as we shall see. The post war business environment and the advent of mechanised office work in the 1950s and 60s proved to be the perfect breeding ground for open plan offices to flourish. Unsurprisingly, people first began to realise the consequences of a vast floor full of other humans with their chatter, phones and typewriters. 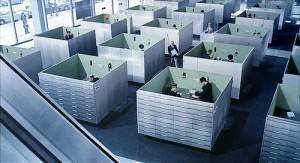 Those with status could work their way to a coveted corner offices, but for the hoi polloi, one solution (which endures largely unloved to this day) was the creation of office cubicles, a situation satirised in both Billy Wilder’s film The Apartment in the US and Jacques Tati’s film Playtime in Europe. Modern open plan offices now usually employ the offspring of the cubicle as a de facto standard workstation; the desk surrounded by screens or with a panel attached to disrupt noise and provide visual privacy. 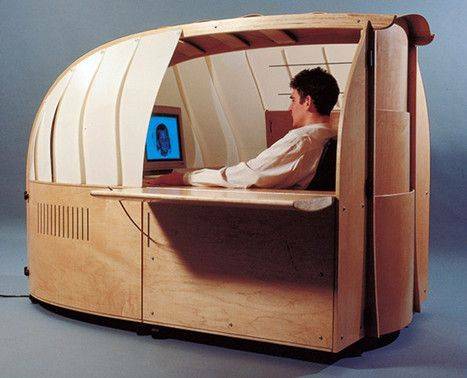 By the 1980s personal computers were starting to appear in offices along with their noisy peripherals, thereby inducing a new form of workplace induced distractedness. Firms still wanted to enjoy the benefits of open plan however and so designers started to look at ways to balance two potentially conflicting set of needs. So emerged in Europe the idea of the combi office, a mixture of open plan and cellular spaces that allowed people to get some privacy. In the US, the same idea was adapted by firms like Steelcase who called their solution Caves and Commons. The principle has since endured and evolved, facilitated by the use of mobile technology. As the principles of the combi office evolved, the end of the 20th Century saw office forms emerge that create different spaces for people to use depending on what they were doing and how much peace they needed. 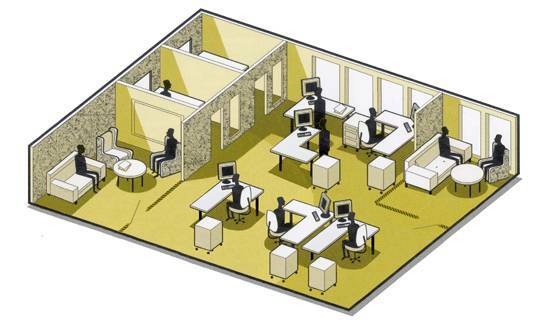 For smaller scale offices this meant the widespread adoption of breakout spaces, private work rooms and other zones. 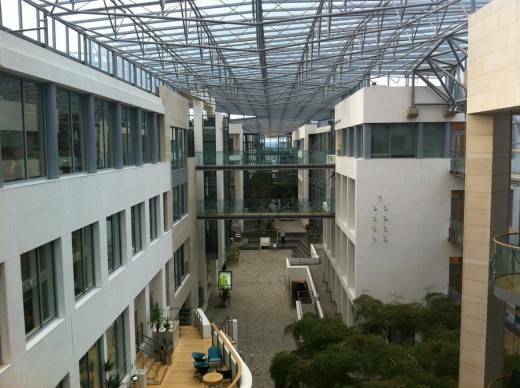 On a larger scale, it meant the creation of a new type of office building characterised by Nils Thorp’s design for the British Airways Waterside headquarters in 1998 (right), itself modelled in similar principles employed by the same architect for the SAS HQ in Stockholm. At the heart of this new building was a main street with cafes, quiet spaces, private rooms, informal meeting areas and libraries. 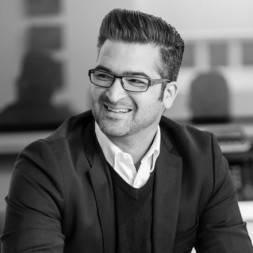 By the turn of the Millennium a new generation of products emerged that were aimed specifically at giving people somewhere to go that would take them out of the hubbub of the main office. 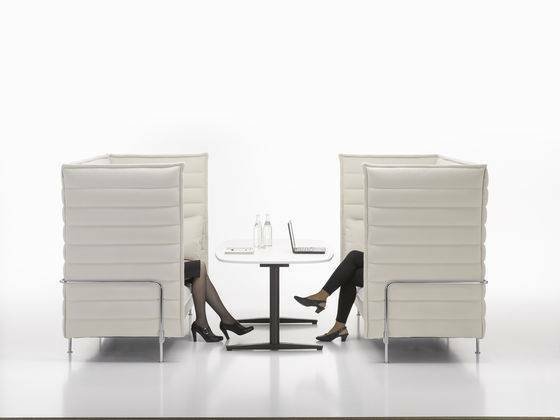 One of the most prominent of these was the Alcove system designed for Vitra by Ronan and Erwin Bouroullec in 2006. 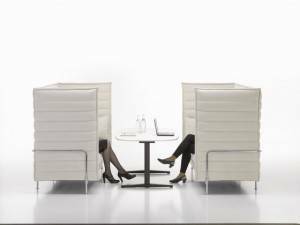 Described as ‘a room with a room’, this kind of product is now a staple around the world and testifies not only to the need for us to find some privacy in the office but also the crossover of a less corporate aesthetic into the main office. This is very much a grassroots innovation but a look around any office usually indicates that people like this as a solution to the problems of distraction. As well as blotting out the sound of noisy neighbours, headphones appear to serve a couple of other important functions. 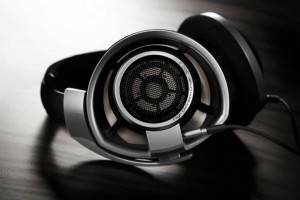 First, wearing a pair of ostentatiously expensive and prominent earphones shows the user is not content to merely jam in the tinny buds that came with their phone or device. 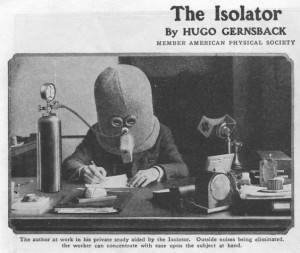 Second, there can be no mistaking the fact that the person wearing the headphones doesn’t want to hear from anybody else. For when a sigh or a dirty look won’t do. Just as people use headphones to indicate to other people that they are not to be disturbed, so too some designers want to find ways to ward off anybody intent on breaking the spell of productive work that somebody wants to fall under. 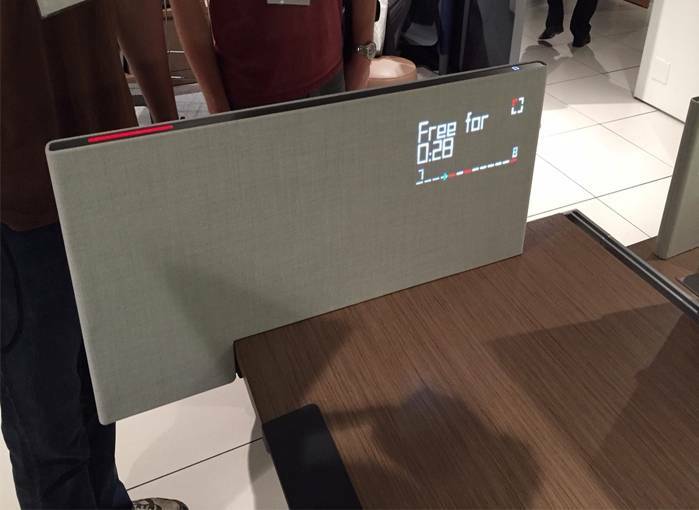 At this year’s NeoCon exhibition, one of the most talked about products was the Intelligent Divisio Screen which not only acts as a traditional workstation divider, it also incorporates a range of displays and signals that show whether the workstation is occupied, the date and time and a warning light to indicate whether the occupant wants to be disturbed or not. The screen can even let the user know when it’s time to take a break. A more elegant way of avoiding one particular distraction is this chair which attempts to deal with smartphone addiction by simply making it impossible to access the Internet. 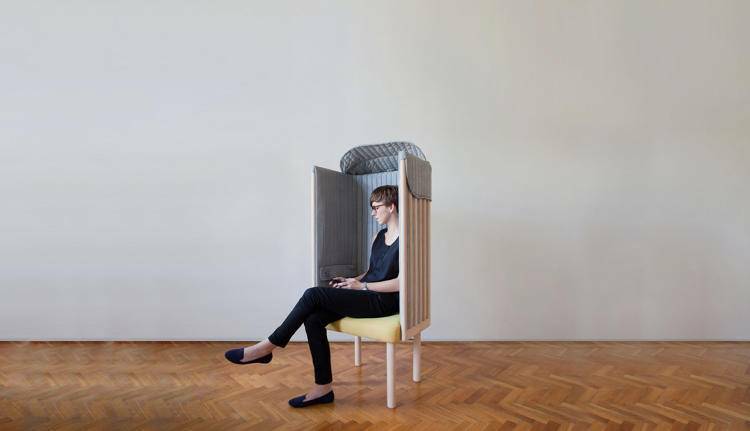 Eschewing the idea of simply turning your phone off, the Offline Chair from designer Agata Nowak resembles a regular booth type product but also incorporates a pocket that is lined with a material that completely blocks out phone signals. Yes, exactly the same material from which cinemas should be made.